The word yoga means “to unite” or “to join” and it’s generally agreed it refers to uniting the mind and the body, or even the body and the soul, and it is an important practice to incorporate into your routine. I recommend Meditation be a daily practice, and even though ideal to incorporate yoga into your daily rituals I do not consider it as vital in a daily routine, however at least once or twice a week is recommended to achieve your True Essence and to improve your Vibrations. However, what type of yoga is right for you? There are many styles and traditions, but I wanted to list out a few to help you better decide. Just like all Meditation is not created equal, likewise Yoga. 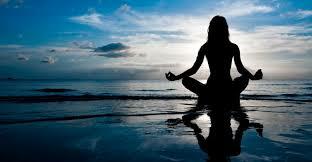 Hatha Yoga is considered the beginner’s yoga since it is easy to learn and is very popular for stress reduction. It combines yoga poses, breathing and meditation, and is focused on physical and spiritual purposes. It is good exercise and provides a gentler focus than some other yoga traditions. Ashtanga Yoga is a more physically demanding yoga practice and therefore not recommended for beginners. It involves focused breathing and a continuously flowing series of poses, resulting in detoxification of the muscles (and organs). Since this form of yoga builds strength, stamina and flexibility it is often practiced for its health and fitness benefits, however it does also have Mind benefits, such as improving focus. This is a very spiritual form of yoga and is much less concerned with flexibility and strength training, than it is on increasing spirituality. It is focused on the awakening of the kundalini energy at the base of the spine, and then drawing this energy upward through the chakras to free blocked energy and promote its flow. Chanting is sometimes used to expedite the energy clearing. This is a very gentle form of yoga that focuses on the student holding poses for extending periods with the goal on increasing self- awareness to release blockages (emotional and spiritual). It is often referred to the “Yoga of Consciousness” and is a good choice for beginners since the poses are not as defined as in other forms of yoga. This yogic tradition was formed recently, originating from the 1960’s, and is often referred to as ‘hot yoga’. It is practiced in a heated room, with temperatures usually around 103 degrees fahrenheit, and the hot temp enhances detoxification and flexibility. While not considered an advanced form of yoga, nor a spiritual practice, it is great for beginners and for those looking for a larger detoxification than traditional forms. This yogic tradition relies on slow movement and poses are held for longer than any other tradition. The practice is therefore a good choice for less-flexible students who wish to ease into a yoga practice. There are of course many other forms of yoga and also new forms being created, however what I have listed are the main forms that I recommend. Other forms that you may wish to consider are Anusara Yoga, created in only the 1990s, which while including many of the traditional yoga poses (asanas) is undertaken in a less strict and more playful manner with the goal of opening up your heart chakra, or Ananda Yoga which a gentle yoga whose goal is to prepare you for meditation by helping with the flexibility needed to sit in the Lotus position and it an excellent yoga practice for anyone looking to increase their flexibility wanting to learn to meditate, or Power Yoga which is a new, and very physically demanding style of yoga that focused on strength, endurance and flexibility with very little spirituality involved. Whichever practice and style of yoga that is right for you is a personal choice and personal decision, and needs to align with your goals, whether they be spiritual or physical, however I do recommend trying to incorporate yoga into your weekly routine.